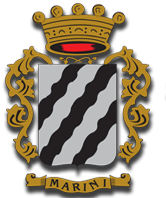 “The Extra Virgin Olive Oil IGP” of the Azienda Agricola Marini Giuseppe in Pistoia is produced exclusively from olive groves located on the first slopes of the hills of Pistoia. The olives are harvested manually with mechanical facilitators, and every evening, immediately after the harvest, (and however, no later than 24 hours after harvest) our olives are processed in our oil mill to avoid possible fermentation and a rise in the acidity level. In 2013 we inaugurated our modern oil mill where the olives are pressed with a continuous cycle plant at a controlled temperature, thus obtaining an oil which preserves its organoleptic quality. Thanks to this policy, we are able to obtain an excellent extra-virgin olive oil in terms of taste and quality, which gets good results in competitions and selections. 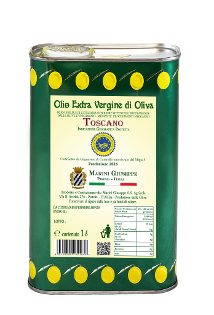 Our Extra Virgin Olive Oil IGP is, indeed, mentioned on the “”Guida agli Extravergini” “(Slow Food Editore) and on the Catalogue of “Selezione degli Oli Extra Vergini di Oliva DOP e IGP della Toscana “2011-2012 edition. In addition, we take part in the “”Olio d’Oro”” competition organized by TVL, a local broadcaster in Pistoia, and our olive oil always obtain excellent results.